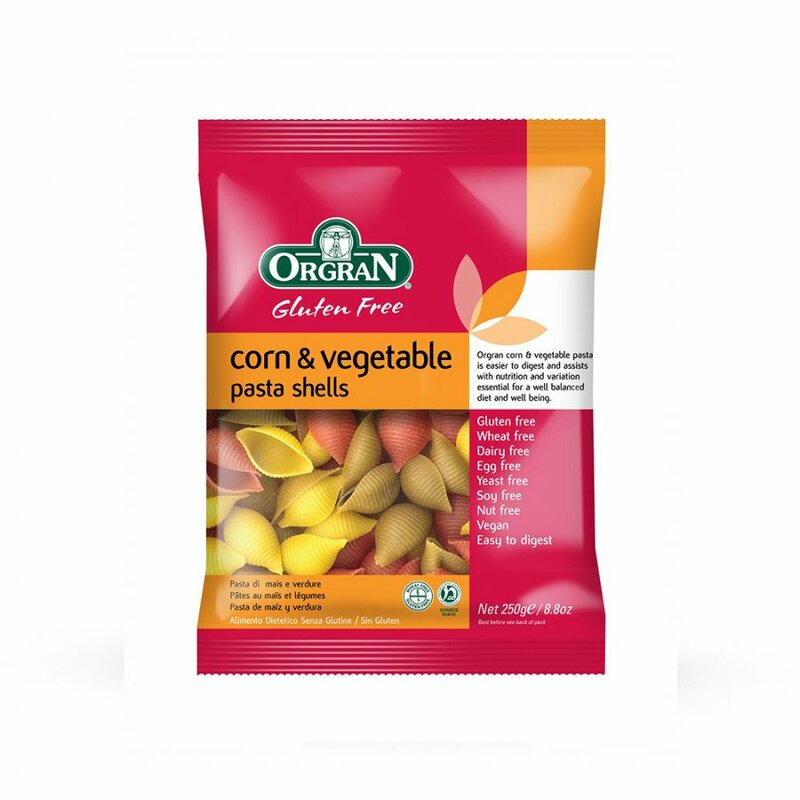 These corn and vegetable pasta shells are a naturally gluten free alternative to wheat pasta, made from a combination of sun ripened corn and nutritious vegetables. Tasty and colourful. Also easy to digest. (Again keep an eye on the cooking time - packet stated time is probably too long).